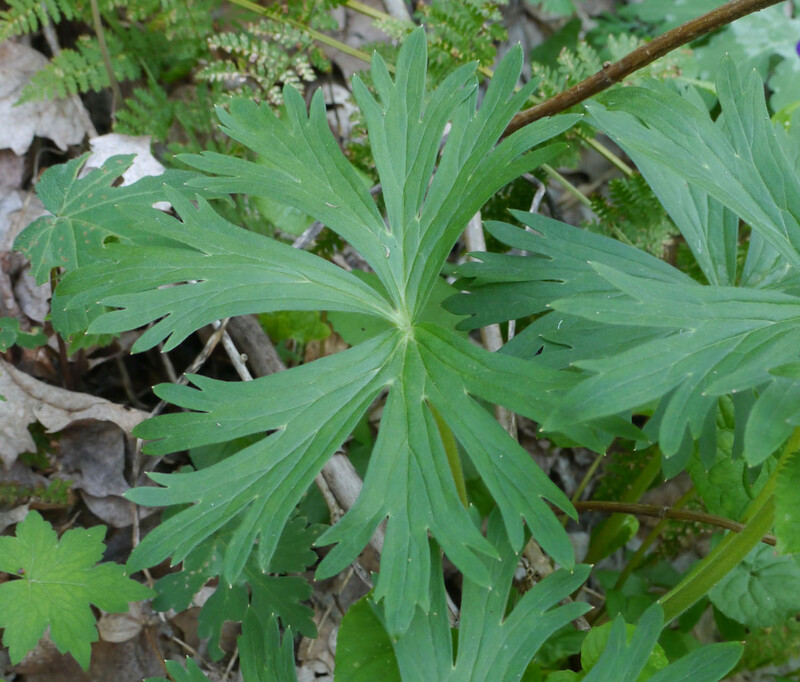 This woodland plant can be found in central and eastern portions of the United States. When you can identify it, leave a comment below with both the common and scientific names. Also share any personal story you may have about this plant. 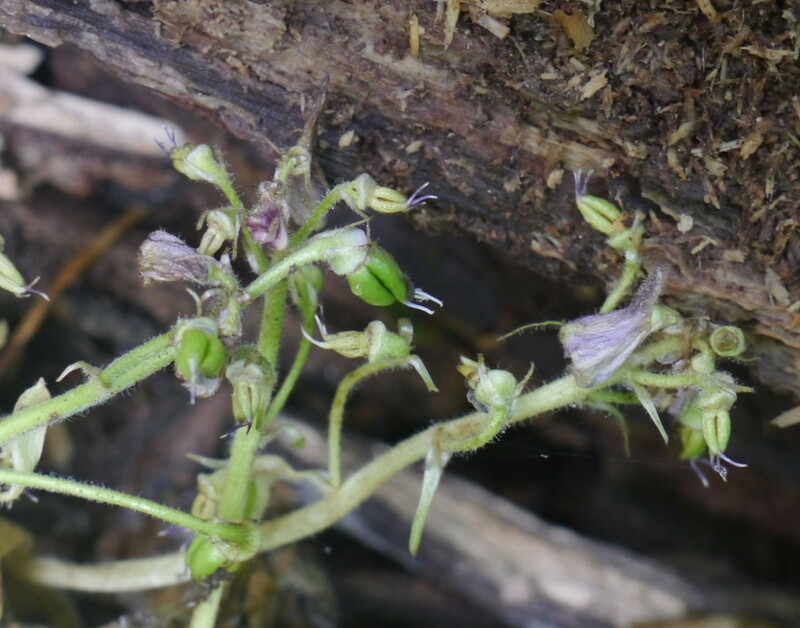 Similar leaves, but this flower has a spur nectary and Geranium maculatum does not. Definitely a Delphinium, but altho it looks somewhat short, it mimics the appearance of my Delphinium exaltatum. Hope you clarify on the reveal! 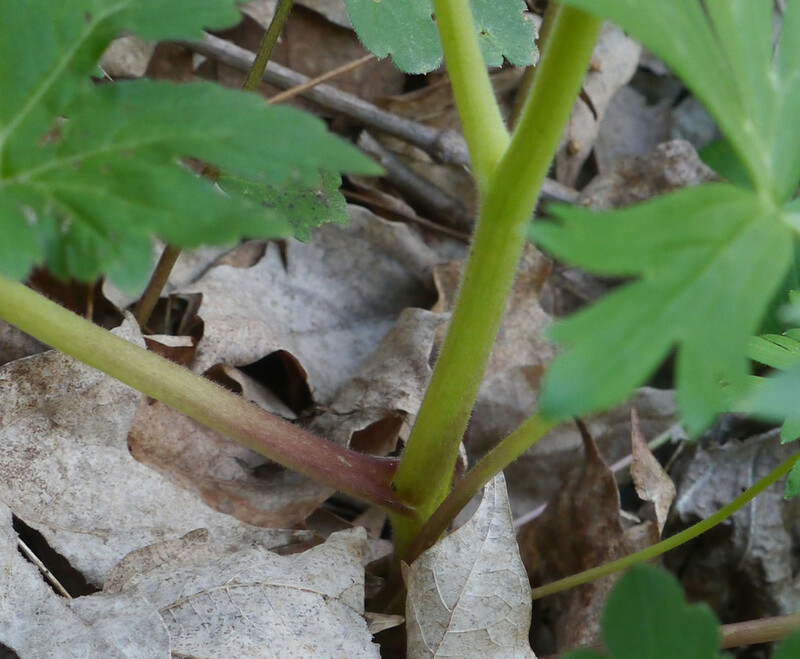 Nope, it is definitely wild geranium. I live in the Pac NW – this stuff thrives here. Hence the name “wild” geranium, as it truly is!! Love it though! Delphinium tricorne. I have a couple in my woodland notch here in Michigan. It’s been there for years, but it always surprises me a little to see a delphinium growing in the shade with trilliums and uvularia. I looked over the comments and looked up each of them. It’s dwarf larkspur, and it’s all over my garden each summer, though I didn’t know before now that’s what it was called. It’s not native to the west, so it flourishes here as a weed. There are wild geraniums too. 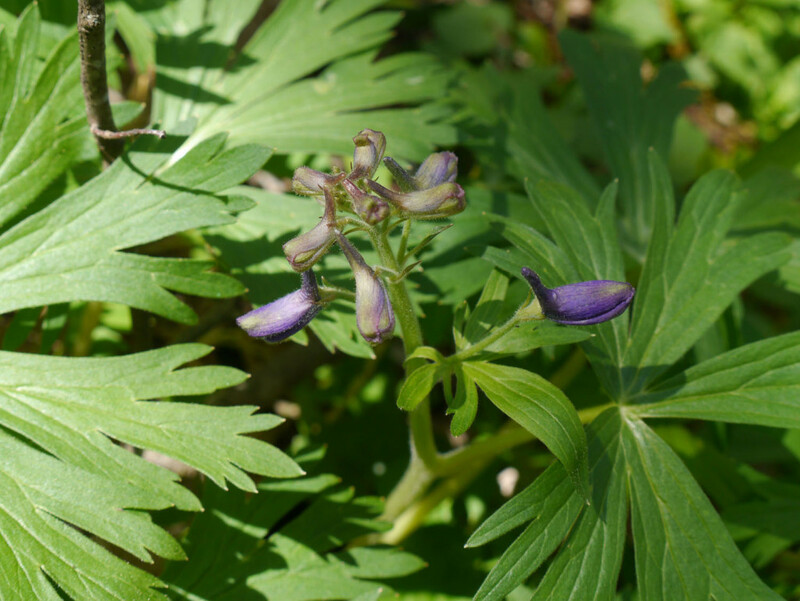 Sarah, good for you for looking up both plants and making your own observations of the differences between Dwarf larkspur (Delphinium tricorne) and Wild geranium (Geranium maculatum). I’m sure you could see how the leaves are somewhat similar and yet the flowers are very different. 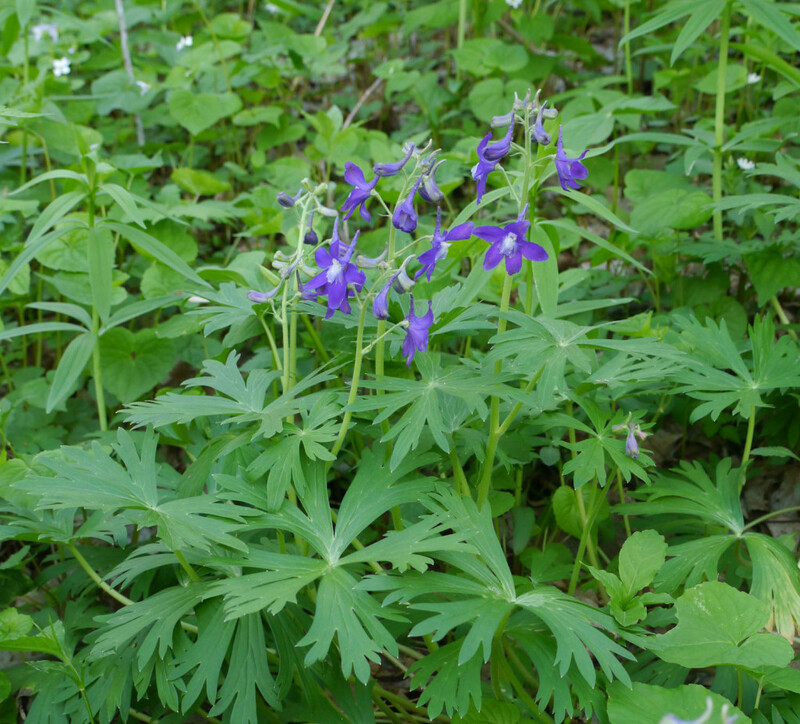 This is Dwarf larkspur, Delphinium tricorne. To respond to Val’s inquiry above . . . Delphinium exaltatum is Tall larkspur which grows up to six feet tall and blooms later in the year than Dwarf larkspur. Delphinium tricorne grows about 1 1/2 to two feet tall. 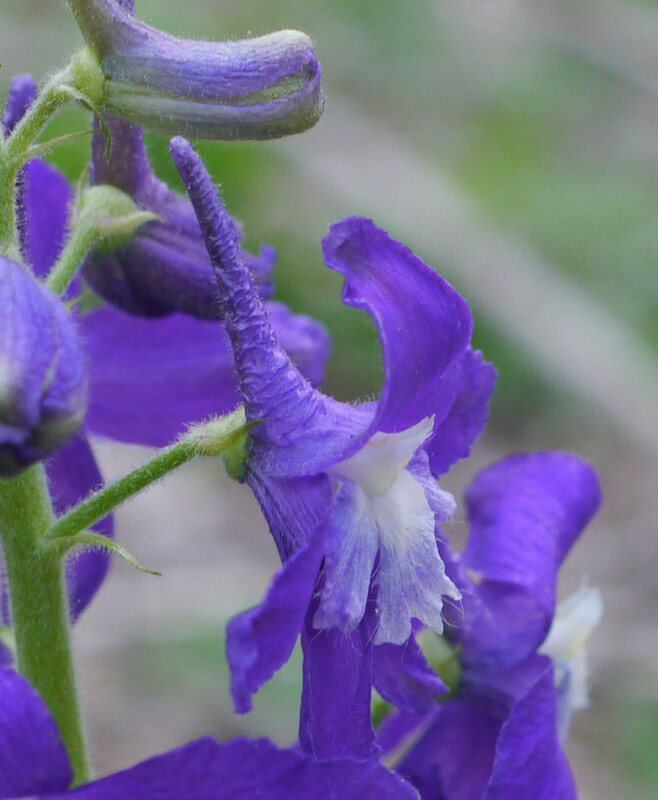 My introduction to Dwarf larkspur occurred when I walked off a beaten path to check out another plant, looked up, and saw an entire wooded hillside covered with the brilliant purple flowers. I was enthralled and stood rooted to that spot for the longest time drinking in the sight of all those blooming plants growing so closely together.